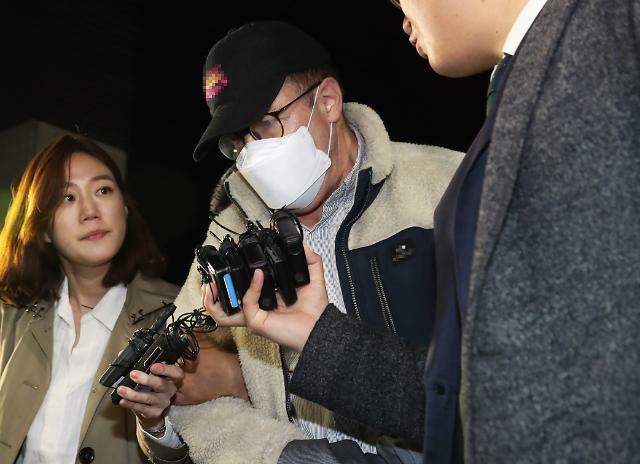 SEOUL -- Robert Holley, a naturalized lawyer and popular TV personality known by his Korean name Ha Il, apologized for the suspected use of drugs as he was taken into a police station for questioning. Police said that Holley, 58, was detained at a parking lot in Seoul Monday on suspicion of buying methamphetamine known as ice through an illegal internet channel and using it at his home in Seoul. "I am sorry. I have a heavy feeling in my heart," Holley told reporters as he was moved on early Tuesday to a police station in Suwon, some 33 kilometers (20 miles) south of Seoul, with his face covered with a white mask and a black cap. A native of California, Holley arrived in the southern port city of Busan in 1978 as a missionary of the Church of Jesus Christ of Latter-day Saints and relinquished his American citizenship in 1997 to take South Korean citizenship. He has become a popular TV celebrity for his witty sense of humor and fluent Korean speaking skills with a strong southern accent. Fans expressed shock as Holley has disclosed no trouble or scandal as head of Kwangju Foreign School. Until he was detained on Monday, he has actively appeared on various TV programs.